Address cognitive skills like problem solving and sustained attention. A useful mnemonic device (mind/memory learning aid) that promotes socialization. Ideal for large groups. 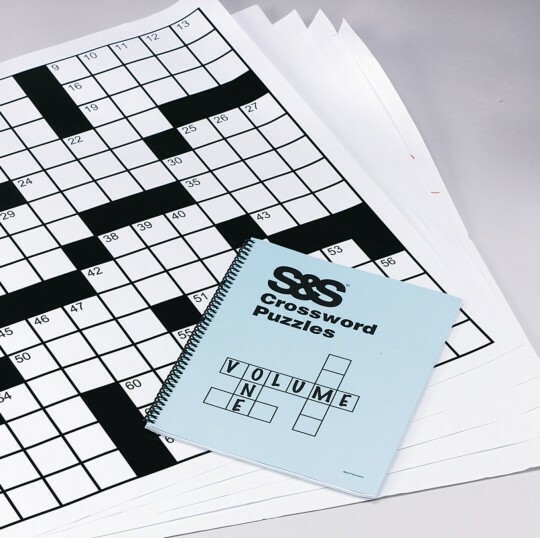 Each set includes one book of 60 puzzles and clues/solutions, and sixty 24" grid sheets. Plus, the puzzles are blank so you can reproduce them and use each puzzle as a handout! All the puzzle solutions can be found in the back of the book. Intermediate level puzzles. For Extra Crossword Grid Sheets, please see 16693. 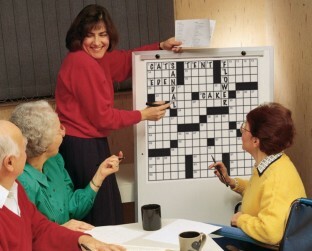 My residents love doing crossword! The puzzles are not too easy and not too hard. I love that they stimulate my residents' brains while letting them indulge in a little friendly competition to see who can shout out the answers first! The Residents complain that the words in these crossword puzzles are too hard. Activity Director in Assisted Living. Thank you so much it gives the residents the challenge that they need.